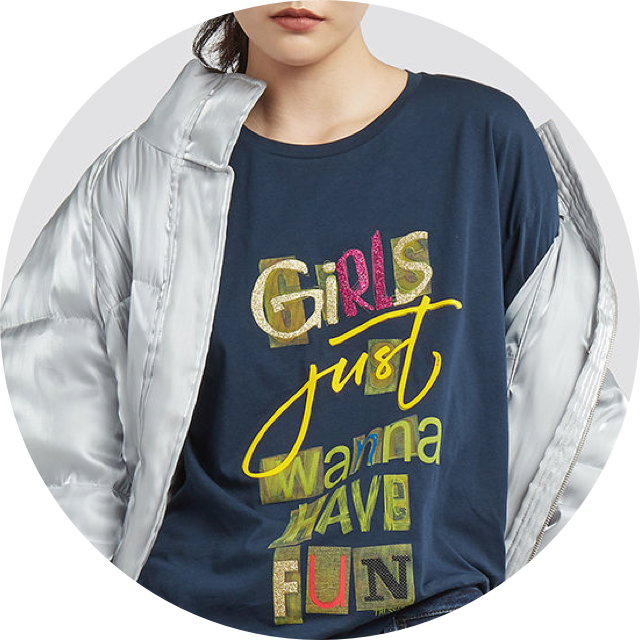 Girls just wanna have… Trussardi Jeans t-shirts! 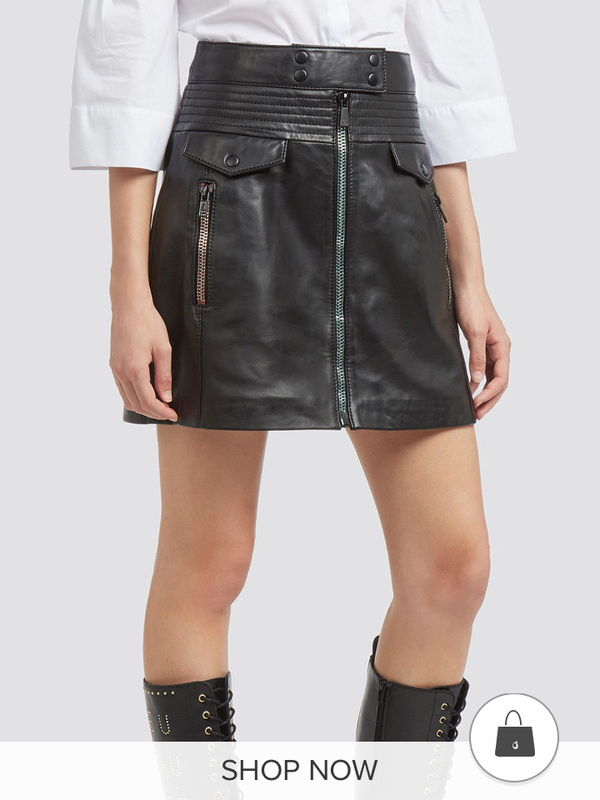 This season's new pieces show off the true versatility of the t-shirt, embracing its incredible adaptability and capacity for transformation. 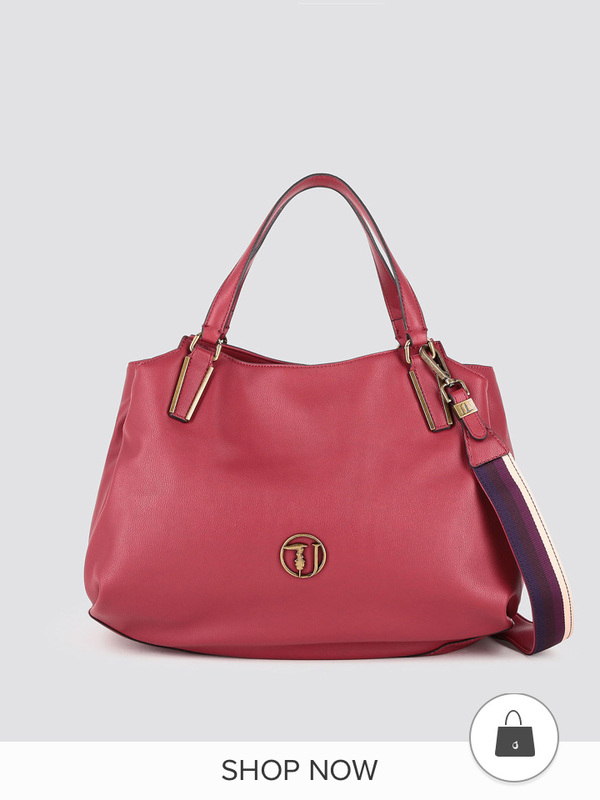 Get inspired by the dynamic and colourful mood of the A/W 2018 Trussardi Jeans collection. 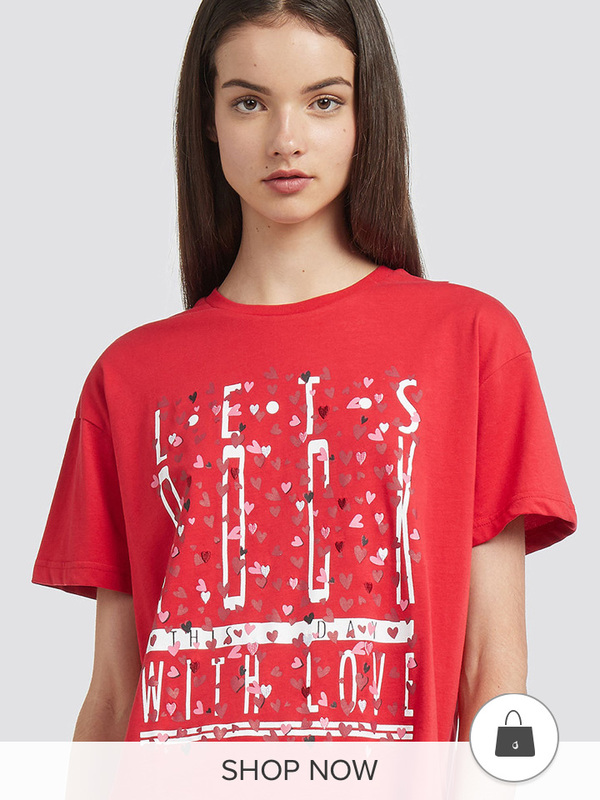 Under a boyfriend jacket or your favourite coat, the ever-versatile t-shirt is here for you over the coming months. 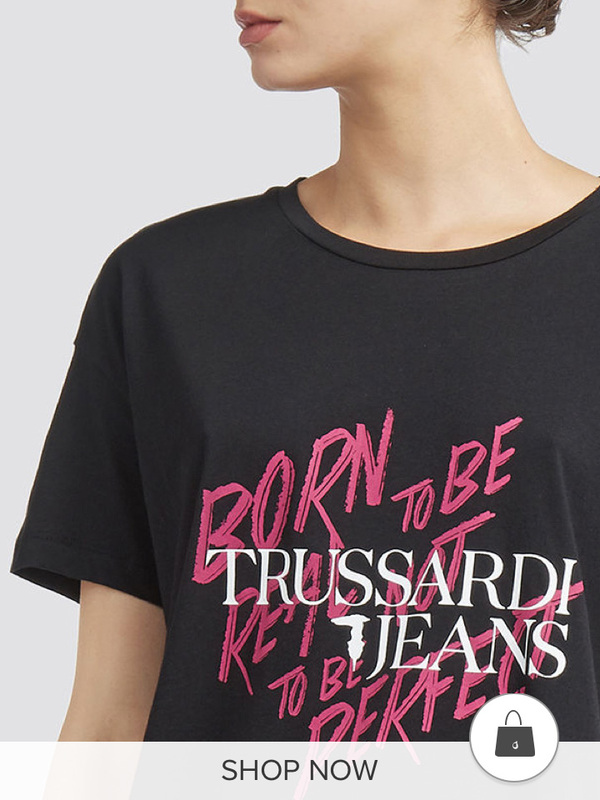 This season, the Trussardi Jeans t-shirt line features soft sleeves, linear cuts and round necklines, combined with distinctive prints. 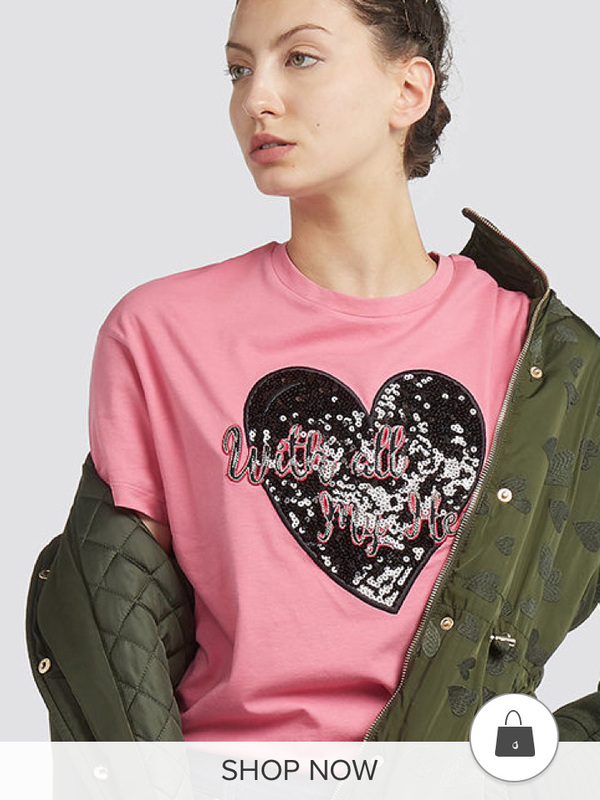 Contrasting images, heart prints, brand lettering: this season's t-shirts are in complete harmony with the rock 'n' roll mood that characterises the entire collection. 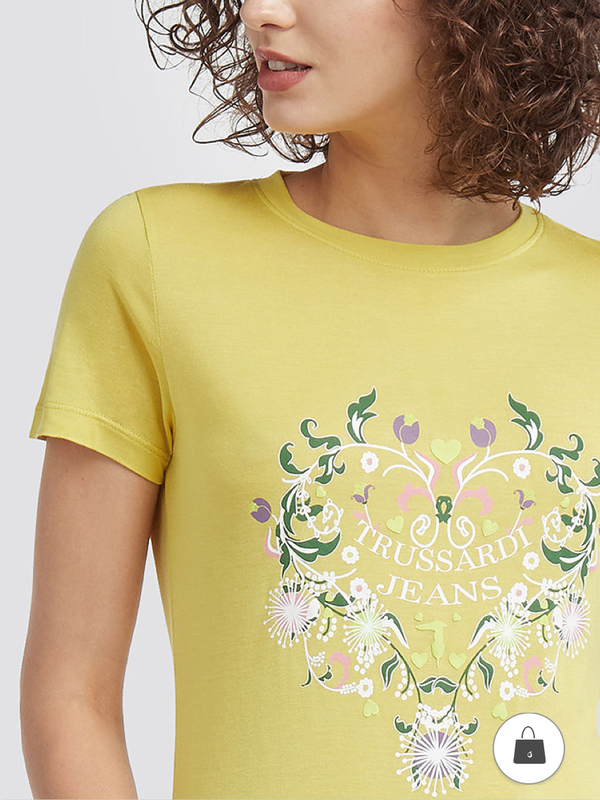 Available in different colours, from classic shades to the brightest hues, these t-shirts are perfect with a casual outfit or for adding a touch of character to a more formal look.